Thanksgiving is an odd holiday for most churches. It’s always on a Thursday, not based on anything other than American history and culture, and not really celebrated beyond the day itself (unless you count crazy Black Friday shopping). 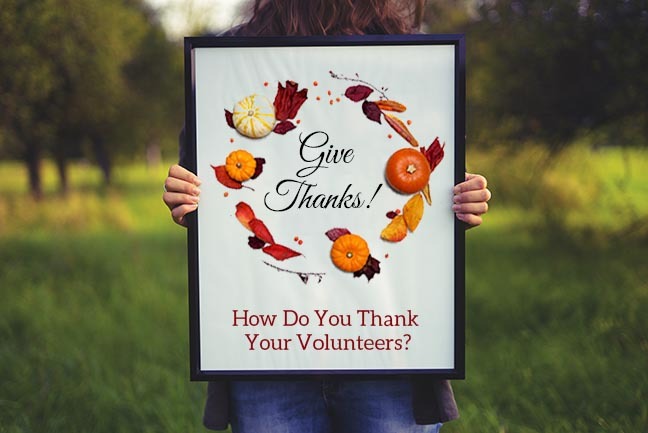 Because there isn’t really much that integrates with the church, why not make this an opportunity to invest in your volunteers? Sending hand-written thank you note cards to your volunteers is a great way to show your appreciation for what they do in your church. Without them, your Guest Ministry wouldn’t have the impact on your church that it does. Custom note cards that match your church branding are perfect for sending those hand written notes to both volunteers and to guests after their visits. They’re customized with your church logo, colors, and branding, and are blank on the inside so you can use them year-round. They even come with a matching envelope. At around $1 each including postage to mail them, notecards are an incredibly easy way to show people just how much you care. In 2009 I had an email conversation with my representative in congress that ended with me mentioning God being our ultimate provider. A week or so later I received a hand written letter from my congressman agreeing with me that God is our ultimate provider. Although I have moved to a different congressional district and he has since moved on in his career, I still treasure that hand written note I received from him. How much will your volunteers treasure knowing that you care enough to spend a few minutes writing them a note? It’s worth finding out. Check out note cards Here.